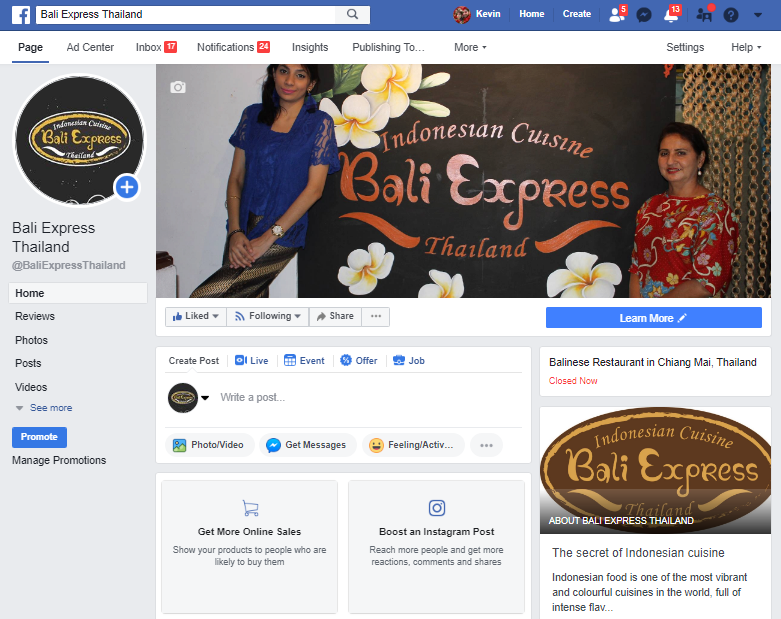 The Omega project team works with a Bali Express local restaurant (Chiang mai, Thailand) on the social media platforms. Despite the tiny budget of the project, social media is the key to reaching large numbers of people at a minimal cost. Social media greatly increases awareness about the restaurant. Adding social media to a marketing mix can generate more engagement with a restaurant and get more customers in the door.